As its historic roots began to erode, Black Hawk created a collection of 12 historic Victorian and Gothic buildings called Mountain City Historic Park (Mountain City was the original name given the strand of miner’s camps along the canyon). The block-long park is free and open to strollers. Plans are for the buildings to be put to use for shops and restaurants. Most notable of the collection is the Lace House, an 1863 wedding gift from Lucien Smith to his wife Mary Germain. 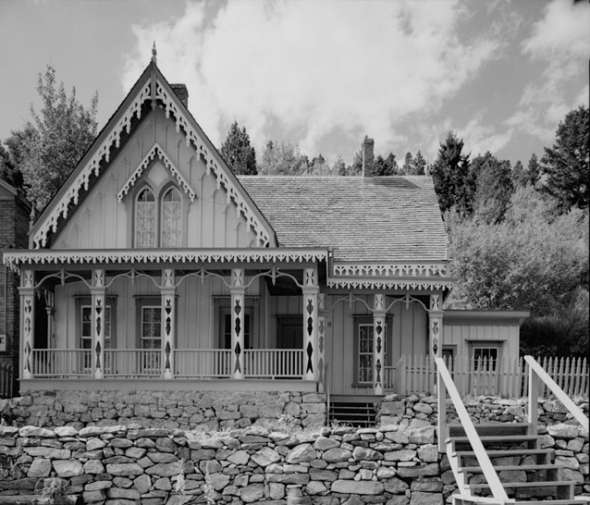 The Lace House, named for its iconic intricate trim, is the finest Colorado example of Carpenter Gothic architecture. It changed hands frequently, its fortunes shifting with the town’s. The Lace House sat empty for many years, until it was bought by the town of Black Hawk in 1973. It was completely restored and, following a fierce local battle, the house was moved a half-mile from its original location to its current place of pride.